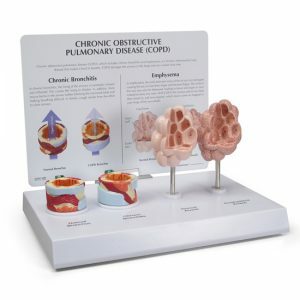 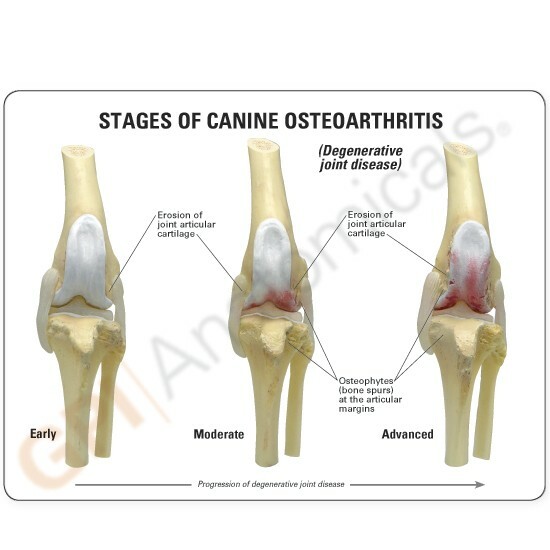 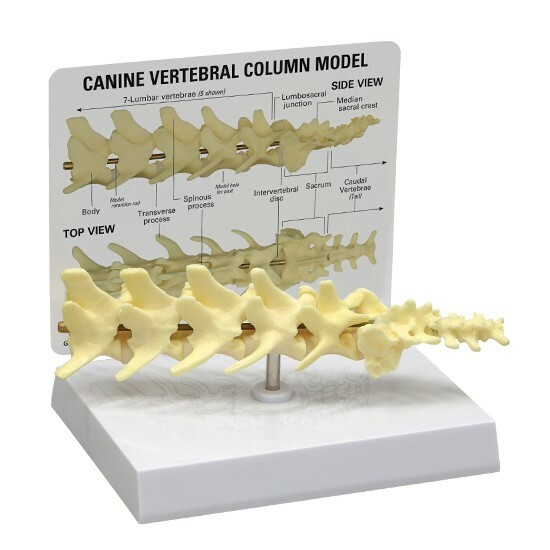 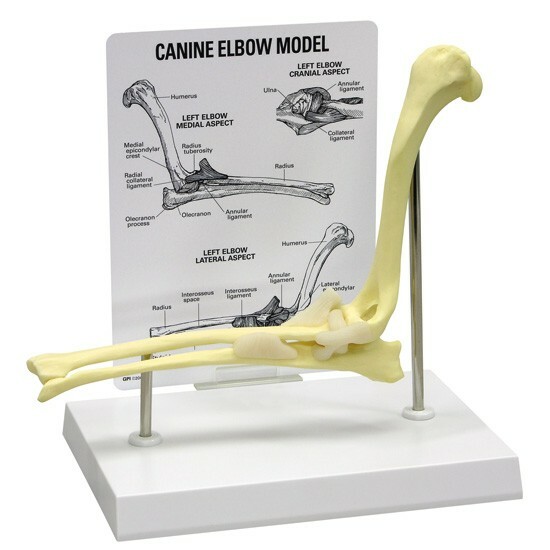 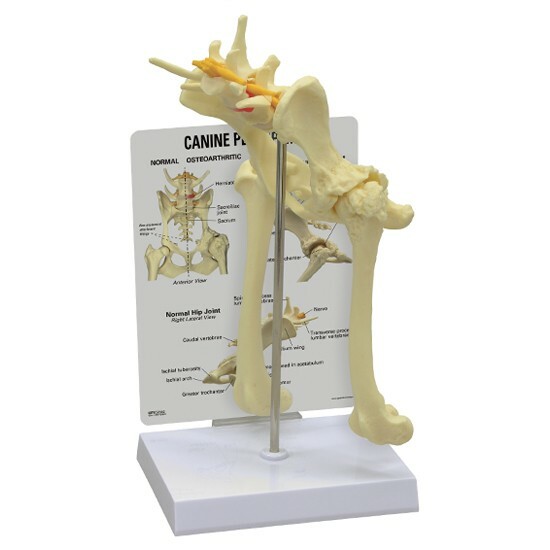 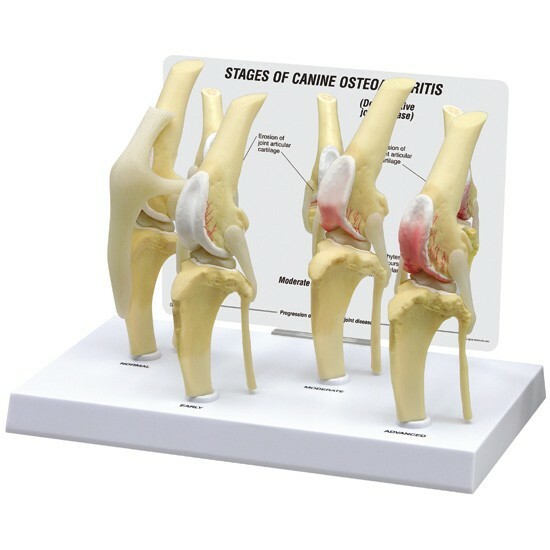 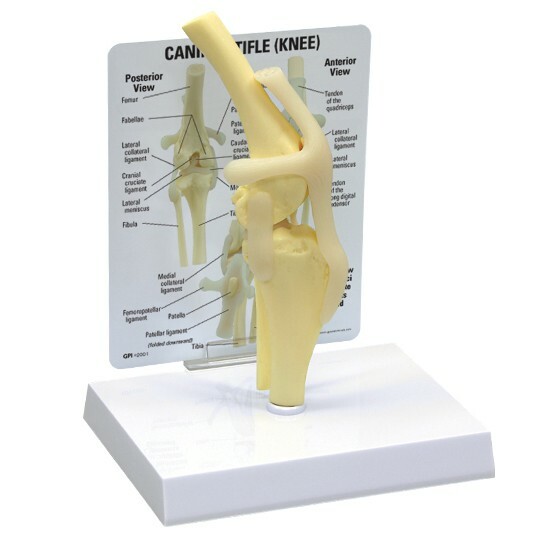 Canine Osteoarthritis set of four life-size models illustrate degenerative joint disease (osteoarthritis). 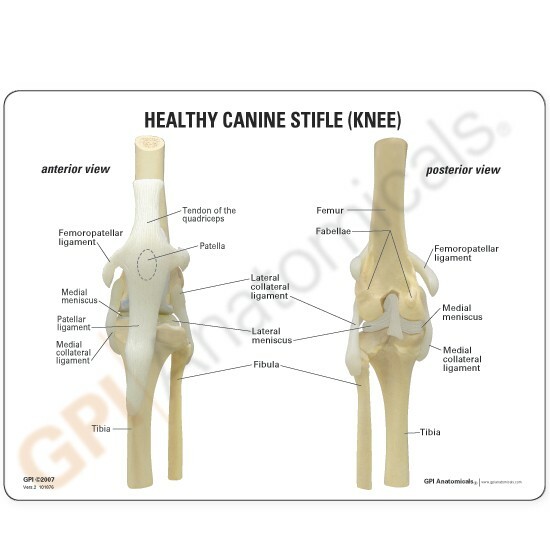 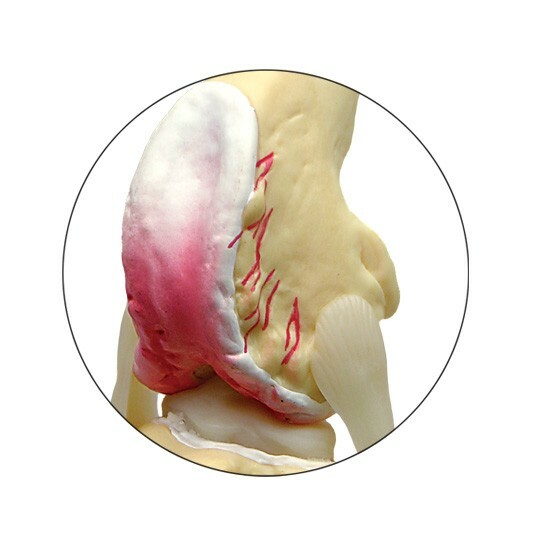 Disease-free (normal) knee also includes additional important structures including ligaments, tendons and patella. 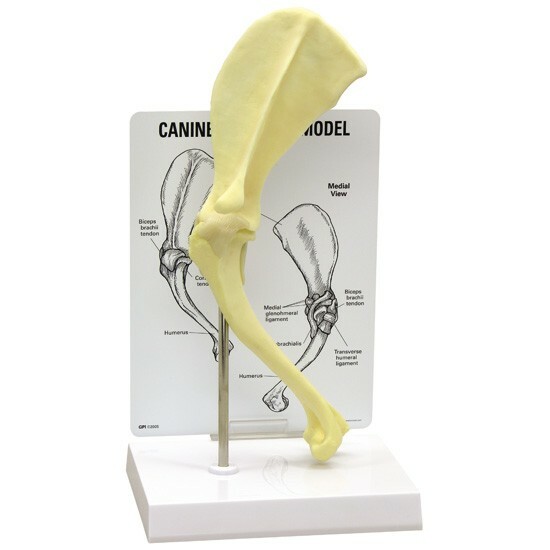 The other three models demonstrate articular surface degeneration and the development of osteophytes (bone spurs).